Looking for the apt cutlery to serve for your guests? What better than the Shell Shape Platter that is designed just to serve your hosting needs. Fill it up with candy bars or lay out a range of dry fruits, the shell shape platter is sure to entice your guests. 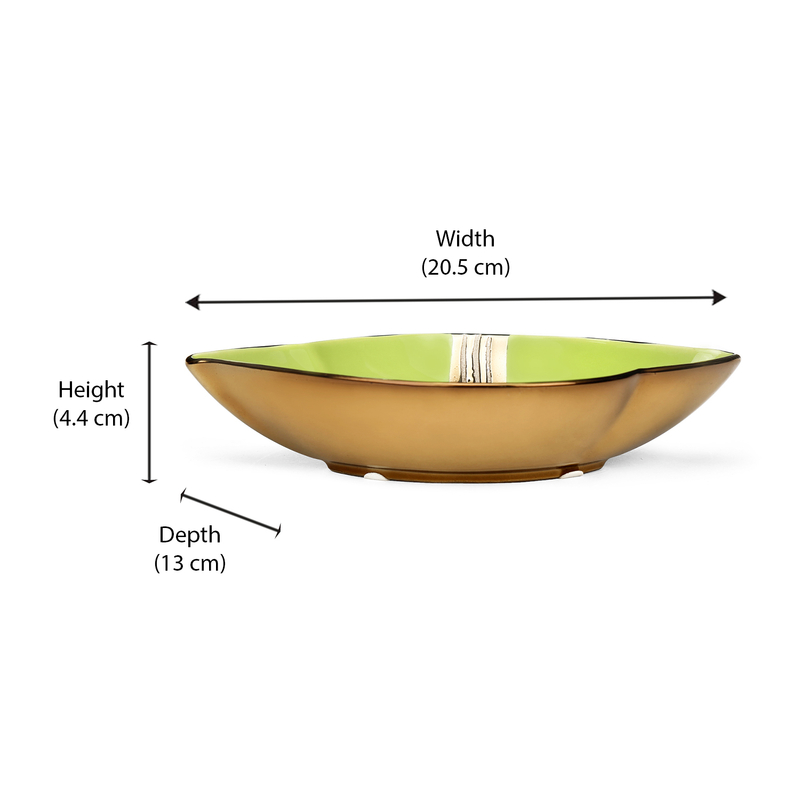 The glossy finishing of the platter is sure to make cleaning and maintenance an easy deal while the shade of lemon green is sure to look refreshing and welcoming against your dark shaded serving table.